It’s not often that you want to combine an ‘Enter to win this thing for free!’ blog post with a ‘Pre-order the exact same thing!’ blog post, and yet a series of unusual circumstances and events have conspired to make it so that is exactly what I’m doing. Weird. Corvidae is available for pre-order. Pre-orders are a pretty big deal. If you intend to pick up a copy of Corvidae when it comes out next week, please consider pre-ordering it today. Not only will it make my publisher and me happy, it will mean that you’ll have your copy as soon as it’s available! 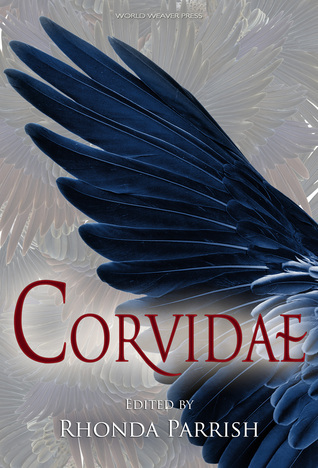 Pre-order Corvidae in Kindle, Kobo, (paperback pre-order available only through WWP website). Giveaway ends July 06, 2015. The timeline on this giveaway is pretty constrained–there are only five (5) days to enter, which might turn out to be a good thing for those of you who do–fewer entries mean better odds of your name being picked.